Some friends and I went on a thrift store crawl this past weekend just to see what goodies we would come across. Not much was to be found, except on a low shelf in a thrift store I have never been in...were these short & stout drinking glasses. 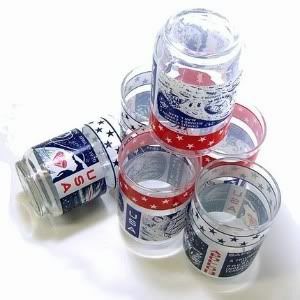 I thought they were 1776 Celebration Glasses, so no big deal for me. 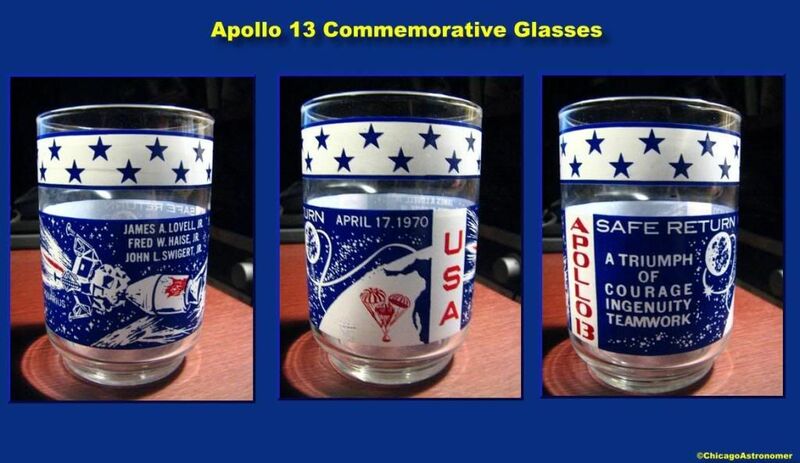 But, as I looked away, I saw a L.E.M - and discovered that it was a Apollo 12 commemorative glass! 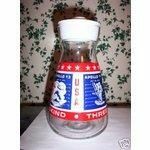 And next to it was a Apollo 13 glass as well! There were a bunch there, but only of Apollo 12 & 13 - I snatched one of each and a friend of mine, (also an astronomer at the Adler Planetarium), grabbed two as well. "Vintage 1970’s collectible Libby NASA Apollo 12 and 13 commemorative drinking glasses. These were originally Marathon gas station premiums. 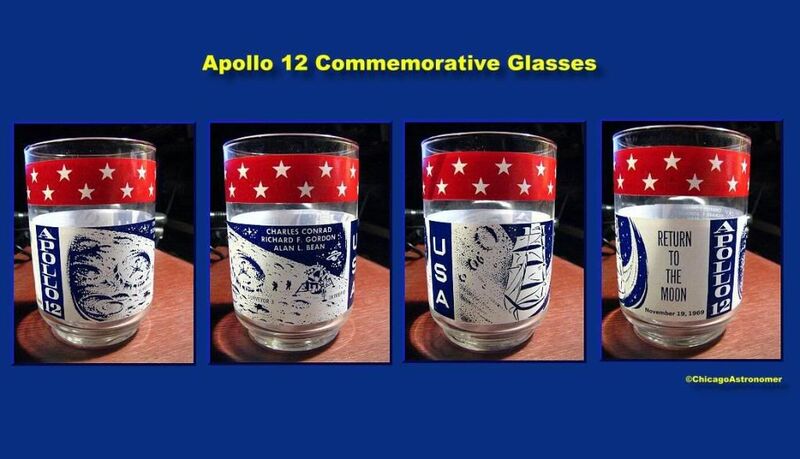 Set includes 3 Apollo 12 glasses which commemorate the “Return to the moon” on November 19, 1969 and 3 Apollo 13 glasses which commemorate the “triumph of courage, ingenuity, teamwork” of this historic flight. These measure 4 1/8 inches high and hold 12 ounces." I must have made my Dad get it for me at a Marathon Gas Station & wonder if it's in a box somewhere in the attic?